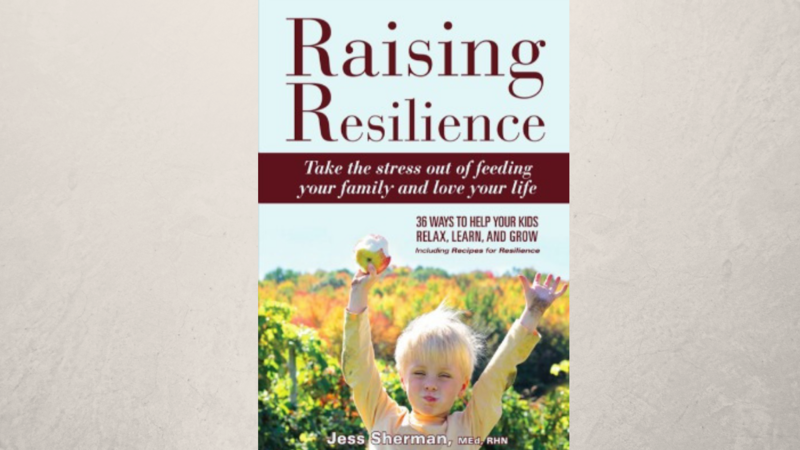 What and how you feed your kids has a profound influence on their resilience. Your choices in the kitchen can actually influence how your kids express who they are in the world. Food influences their behaviour, their mood, their energy, their anxiety, their ability to learn and cope with expectation. 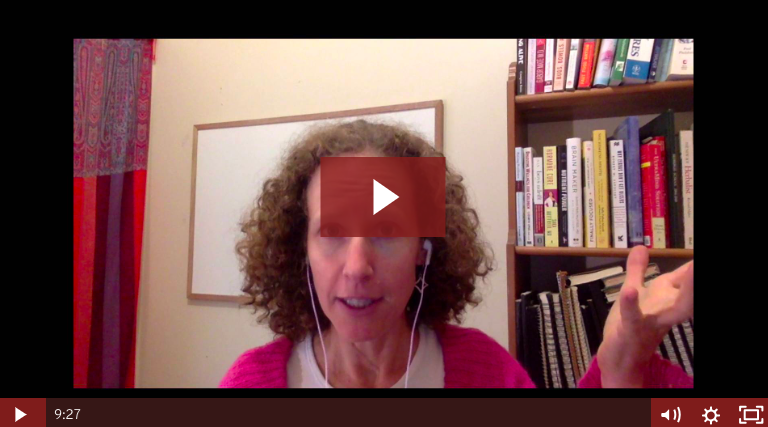 But how to use food strategically to support resilience is going to seem too overwhelming if you don’t have a framework for how to think about this and actually get food on the table. So that’s what this blog post is about. 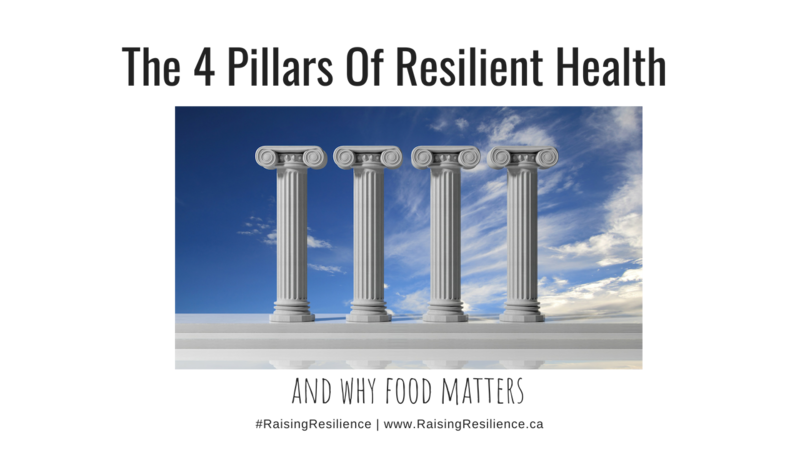 It’s about The 4 Pillars Of Resilient Health™ – the framework I created to help you simplify how you think about feeding your family for strong resilience. 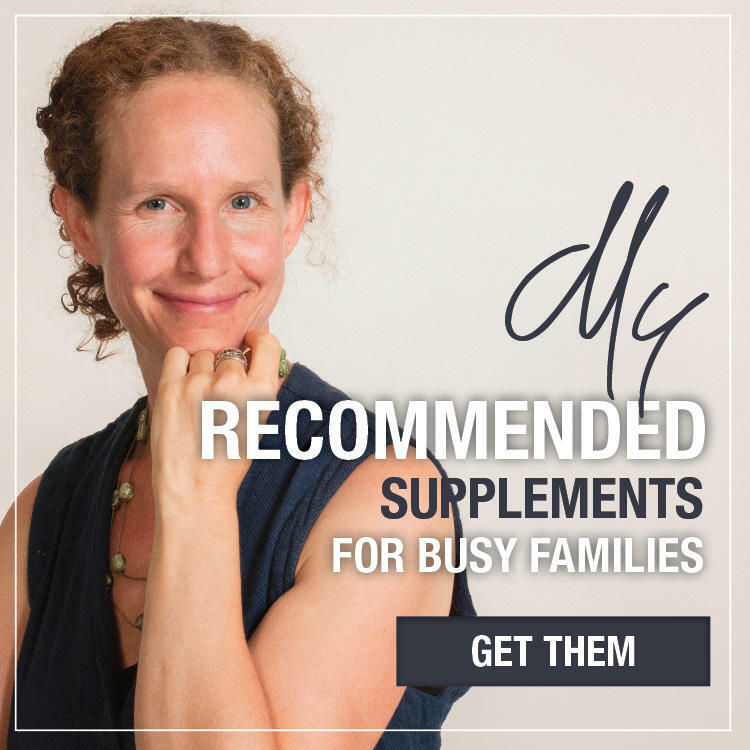 SIMPLICITY is key for busy parents like you and me. 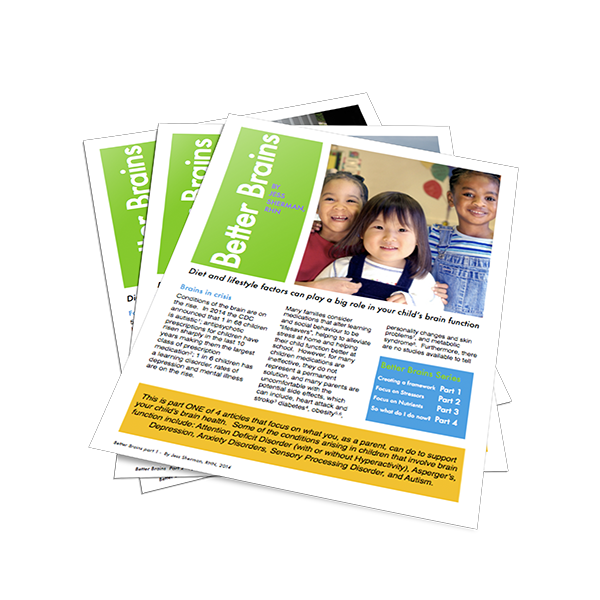 Having a FRAMEWORK to think about how you’re going to help your kids is key. Knowing exactly where to spend your time and energy so you are EFFICIENT is key. Focusing on what you have CONTROL OVER is key. So let me lay this out for you…. 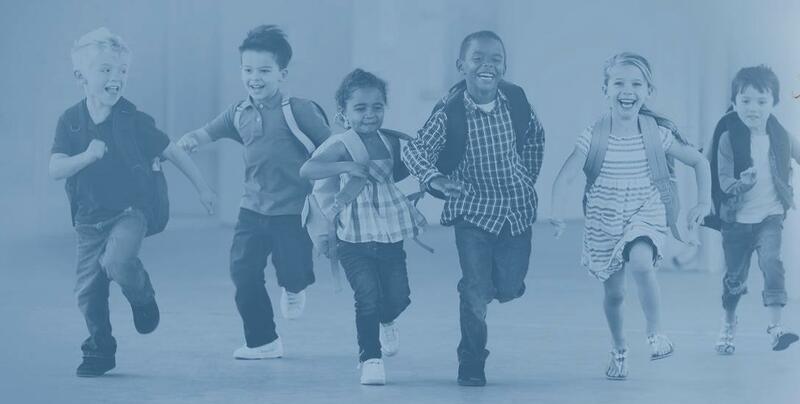 If you are trying to use food to improve the health, behaviour, development, learning, focus or mood of your child (or yourself for that matter) focus on The 4 Pillars Of Resilient Health™. Pillar 1. Reduce Stress & Irritation. I think of stress and irritation like water filling a glass. We have a remarkable ability to keep our glasses from overflowing; to tolerate things that do not contribute to our health – things like toxic chemicals, stress, smoke, additives, metals. But we can only manage so much. When we get close to the top of our threshold we start to feel symptoms. Maybe headaches, or fatigue, or constipation, or moodiness set in. When we overflow we get the diagnosis. Maybe it’s Allergy, Autism, ADHD, ODD, or Asthma. The symptoms that used to come and go, just don’t away at this point. This pillar is all about emptying your child's glass. Aggressive detox is between you and your doctor, but what can you do at home and in your kitchen? You can start by emptying your child’s glass of whatever you can that is not contributing to their wellness. Pillar 2. Improve Nutrient Density. Get Those Nutrients In! Nutrients build the structure of our bodies and drive its function. There are 8 nutrients you need every single day. I talk about them all in my book and outline for you how to get them covered in my coaching. How to get those nutrients in? Here are a few ways to start…. If you need supplements to fill the gaps here are some things to consider. Pillar 3. Support Blood Sugar. When you control your blood sugar you influence your master hormones cortisol and insulin. When you do that you start to influence your other hormones as well because they work in an interconnected web. Hormones are chemical messengers in the body. They tell organs what to do. Eating for blood sugar stability helps ensure our organs are getting appropriate messages and function their best. Also, hormones directly influence our mood and behaviour so keeping them in good working order is critical. I call this pillar our “dietary on-ramp” for hormone control. Your digestive system is an interface between the external environment and the internal environment of your body. It houses most of your immune system. It contains more neurones than the spinal cord and is in constant conversation with your brain. The microbes in your gut educate your immune cells, contribute to the digestion and absorption of your food, help you detoxify, help regulate your appetite, create a physical barrier against pathogens, create vitamins, hormones and neurotransmitters. On and on…. good digestion is key to good health. Here’s a tip… if you are working with a doctor about a health concern and there is no conversation about what’s going on in the gut, I suggest you add someone to your team who will have this discussion with you. Get enough plant chemicals in (phytonutrients). here's more about why. That’s it. Four Pillars. There are, of course, more things you can do with food to support health – more actual strategies. I’ve only listed a few here to get you started (I outline 36 of them in my book). But each strategy will fall under one of the 4 pillars. Having that framework is what will keep you organized and strategic. It helps you understand why you are doing what you are doing and make sure you're not missing anything. It’s what will keep you out of overwhelm. Do these four things before spending time and money on expensive therapies and medications. You'll need less of them and they'll work better if you set this solid foundation first.